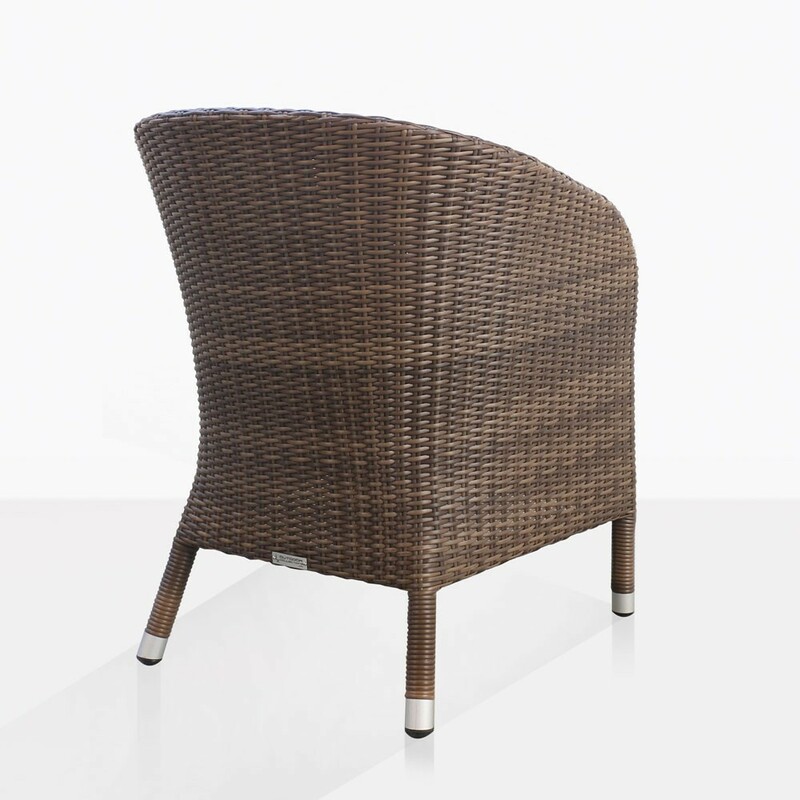 The Safari Outdoor Wicker Dining Chair is a lovely example of a chair that will be inviting and compliment many styles of dining tables. Made with a light weight powder coated aluminum frame and wrapped in a tight wicker weave. 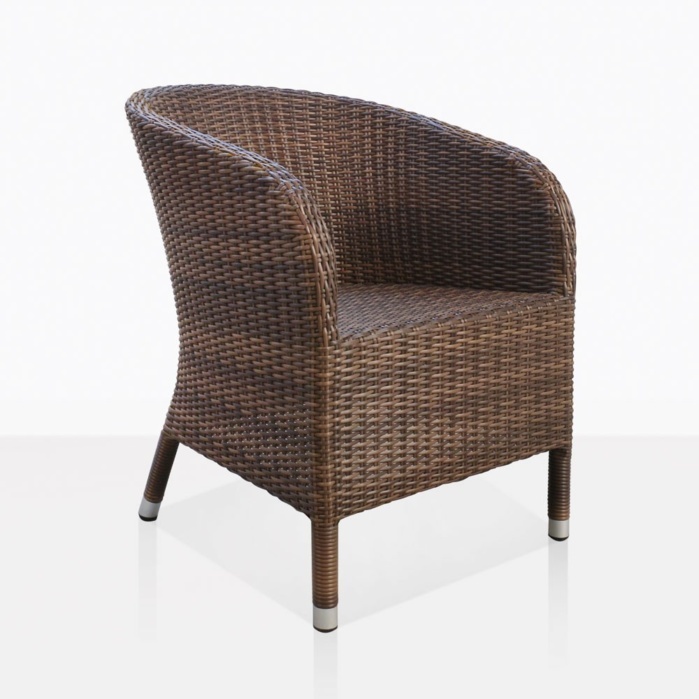 The wicker is synthetic and meant for outdoor use. 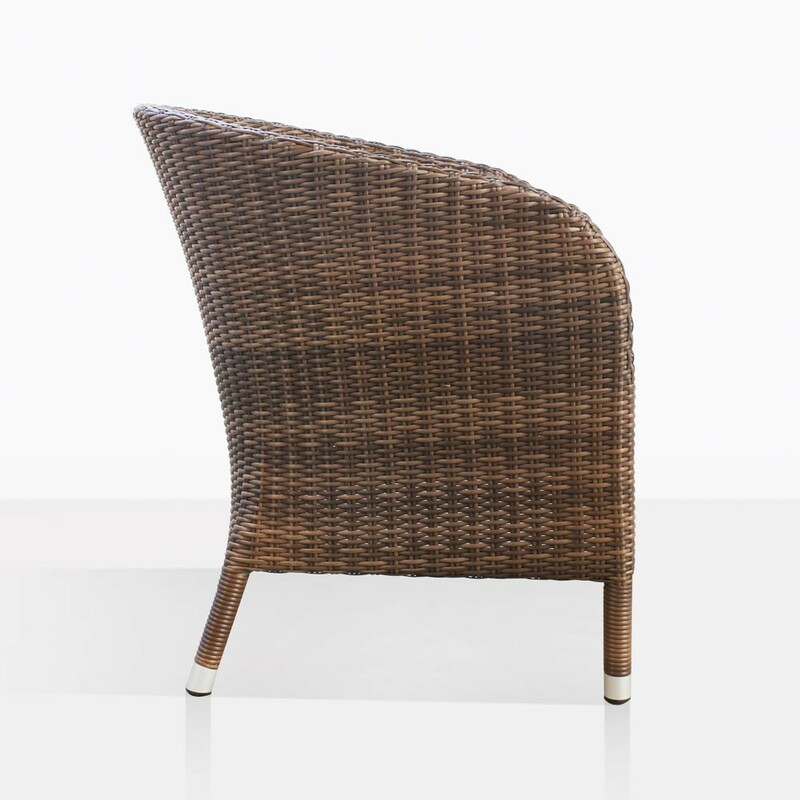 The curved back and rounded arms give this chair a casual look that will have you wanting to dine outdoors for all meals. It will pair beautifully with one of our famous reclaimed teak dining tables, the trestle style table goes perfectly with wicker chairs. 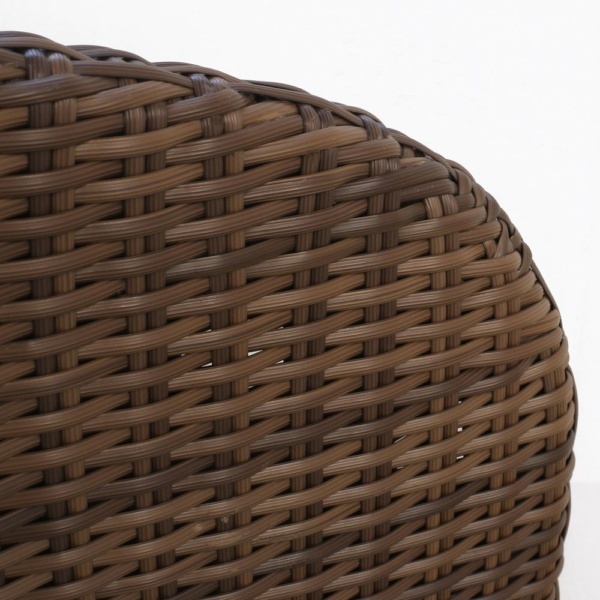 We have over 165 styles of dining chairs to choose from. At Teak Warehouse you can create any dining set you like! Whether it’s an intimate setting for two, or a grand setting for twelve. Visit our showroom, or shop online today! W23.6" x D24.7" x H31.2"